That Johnny Mercer was one of the more successful lyricists in popular music is beyond denial. That many jazz musicians were attracted to songs for which he composed lyrics is also beyond doubt. However, putting forth Mercer as one of the leading imagist poets of his generation as well as one of its foremost jazz poets demands more than an assertion; it requires solid argumentation and substantive proof. I plan to provide both in this article. First, however, I need to spend some time discussing just what constitutes imagist poetry and jazz poetry. Then I will apply the results in an examination of two poems from Mercer’s body of work. The imagists sought to create pictures in poetry, which allowed the reader or listener to see the words come to life and in a sense paint pictures in the mind. The sounds, rhythm, and images work together to create a holistic experience in which we becomes immersed in the experience. Ezra Pound noted that the rhythm of a poem should be like that of a musical phrase, not of a metronome. In other words, it should swing. Pound's work had an immense impact on American poetry and literary writing in general. Hemmingway and Fitzgerald were adherents as were William Carlos Williams, John Gould Fletcher, Harriet Monroe, Conrad Aiken, Marianne Moore, Wallace Stevens, D.H. Lawrence, T.S. Eliot, and Hilda Doolittle. Imagism also influenced poets who were clearly “jazz poets." Foremost among these jazz poets was Langston Hughes. Defining just what constitutes a jazz poet is as difficult as defining jazz itself. After all, Louis Armstrong is reputed to have said when someone asked him what jazz was, “Man, if you have to ask, you’ll never know!” However, just as we can list some elements of jazz common to most, if not all, music termed jazz, we can do the same for the category of jazz poet. Most jazz fans and musicians would agree to the following characteristics as being definitive of jazz as explained in "Jazz the Swingin' Thing": swing, syncopation, improvisation, bent notes and modes, and distinctive voices. These same characteristics especially swing, syncopation, and distinctive voices are found in jazz poets. The others are implied or found analogously. I would also add humor, especially ironic humor. Potentially, little is sacrosanct, and a “biting humor” with a notable reflexivity is almost a requirement for jazz musicians. While no one disputes the humor of people like Louis Armstrong, Louis Prima, Cab Calloway, or Dizzy Gillespie, many might dispute the humor of some modern players. Miles Davis is often cited as lacking humor in his performances as a means of bringing dignity to jazz and placing it on a level with classical performances. Let us leave aside the inherent misunderstanding of many classical performances, as well as the error in labeling all concert music “classical.” But Davis often was funny as were others of the “cool school." His statement, “If you understood everything I said, you’d be me,” sums up his humor. Perhaps more famous is his response to John Coltrane who apologized for overly long solos by saying he didn't know how to stop. Davis shot back, “Take the horn out of your mouth, John.” There are also stories about Davis tending bar during one of Coltrane’s long solos. John Szwed has a number of examples of Davis’s often biting sense of humor, scattered throughout his book. Humor is a fundamental aspect of jazz and part of the perspective on life that players have. Certainly, Langston Hughes had all of these characteristics, including a love for jazz. His poetry swung, it had humor, Hughes had a distinctive voice, and he chose the right tones. He also had the ability to imply more than he said. It is, therefore, not surprising that many consider Hughes to be the first true jazz poet. Sascha Feinstein, for example, in Jazz Poetry from the 1920s to the Present wrote that “Jazzonia,” one of Hughes’s early poems, “emulated the rhythmic imagery of a twenties cabaret in which jazz and dance, sound and sight, become one aesthetic response.” Feinstein also argues that Hughes elevated jazz through his classical references in literature and music, making it appear sacred. She further notes that his first book, The Weary Blues was the first collection of real jazz poetry. She specifically praises Hughes’s use of rhythm and repetition, two key jazz, and one may note, classical elements. Hughes, unlike his poetic predecessors, merged jazz and poetry seamlessly. Importantly, he influenced many who came after him, including Sterling Brown and Johnny Mercer. This is a refrain Spike Lee echoes in his great jazz movie Mo’ Better Blues (1990). In his film, Lee captured the feeling of jazz in the drama just as Branford Marsalis and Terence Blanchard did in their musical performance. Lee managed to get in a reference not only to Hughes but also to bassist Charles Mingus’s quirky autobiography, Beneath the Underdog, as well as a reference to the all-star ballplayer Willie Mays in Say Hey! And that is, indeed, jazz improvisation and performance at its best; the subliminal stream-of-consciousness linking disparate things whose connection might otherwise go unobserved. Barry Wallenstein argues, "Poetry has always craved the company of music." Developing his point, he adds, "Tone, rhythm and cadence, and lyricism too, are the property of both." The two belong together and their marriage is a natural thing, especially for those who are both poets and musicians. We could extend this concept to note that a jazz poet would respond to the music that is jazz and to its tones, rhythms and cadence, and lyricism in a marriage of poetry and jazz. It is my contention that Johnny Mercer accomplished just this feat – merged poetry, imagist poetry to be precise, with the rhythms of jazz. The fundamental characteristics of imagism, we noted, were subsumed under the phrase "clarity of expression through precise visual images." Additionally, imagists sought to use the everyday language of life and to use the exact word (le mot juste) that described the subject, not a near approximation of the word. Thus, we can say that to be an imagist poet, a poet should be precise in description and in capturing the mood. Although the imagist manifesto speaks of sculpture and building, I believe that painting and music can be ingredients in imagist work. The fundamental idea is structure and both painting and music can be, some would say must be, structured. It is important to address the issue of whether lyricists can be poets. I think simply asking the question in this manner moves us toward an affirmative answer, for weren’t the earliest poets lyricists? The poetry of Homer was indeed sung as was that of Virgil and many others. Indeed, we still speak of lyric poetry, which I think begs the question. 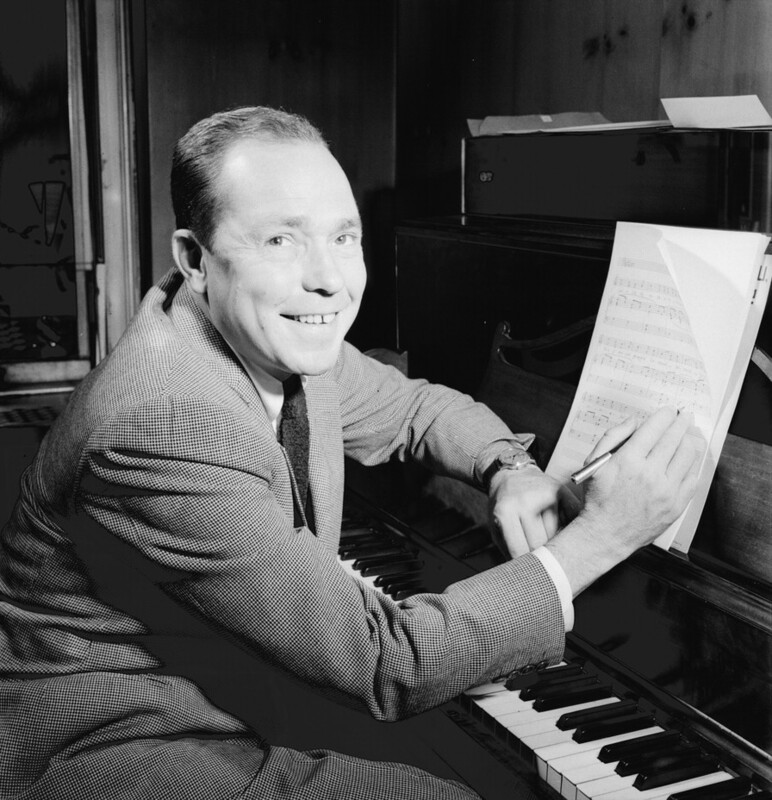 The Library of America lists the following poems of Johnny Mercer in its American Poetry 20th Century: "The Blues in the Night" and "Midnight Sun." Both of these lyrics are significant examples of Mercer’s use of imagist concepts and also of jazz devices. In this section, I would like to examine them from the perspective of his use of imagism. In the next section, Mercer as a Jazz Poet, I will examine these same two lyrics from that perspective. There are a number of other examples of imagism in the lyric. A few will make the point and explain why Philip Furia is so ecstatic over Mercer’s dialect lyrics. What he thinks of his “sophisticated” lyrics is another matter I will address in a bit. However, Furia is quite fond of Mercer’s “country” phrases in "The Blues in the Night." Mercer piles these images on one after another. After the stanza mentioned above, he adds rain falling, a reference to tears. Before we can catch our breath, he uses the old blues symbol of a train whistle - and not simply a whistle but a “lonesome whistle.” Then he travels to big towns, and we hear the sound of the whistle, “whooee,” and the sound the train makes on the train tracks, “clickety-clack.” If these elements were not enough, Mercer conjures crying trees and a powerful mention of the moon hiding its light, making the rainy night even darker, like a jilted lover’s mood. Interestingly, Furia views "The Midnight Sun" as just a pretentious piece of Tin Pan Alley. His reasoning is that the words are too poetic and not dialectic enough. They are not Southern and so are false. Where does one begin in questioning that reasoning? Does one start with Faulkner? Does one cite all the numerous Southern writers who used poetic words? Or can one simply mention Mark Twain, whose education was less formal, much less formal, than that of Johnny Mercer’s, but who could rise to the heights of rhetorical excellence in either dialect or formal English? One example shows the foolishness of expecting a great writer to remain in a critic’s pigeonhole, but it is only fair to note that Furia in his biography of Johnny Mercer appears to have changed his mind about "Midnight Sun" or at least removes his critical comments. He even praises Mercer for his adept handling of “feminine rhymes,” rhymes of two syllables in which the accent falls on the first syllable. But the lyric has more to offer than difficult rhymes. It has images that burn into one’s mind. I can remember when I first heard the song many years ago as a teen. It was June Christy’s version, and I had never heard such lyrics before. They seemed strange and familiar at the same time. I am certain others felt the same way. Although I have heard many versions of what has become a jazz standard, June Christy with Stan Kenton’s band, recorded in 1954, is still my favorite. There is a sensitivity to the lyrics that goes beyond that of other great artists and captures the magical moodiness of Mercer’s lyrics. Thus, the narrative voice is speaking to someone. It is not a general statement to the world, but Mercer has a specific person he's addressing, at least in his mind. Image after image spills out as he recounts memories of his love affair. Then it all ends in an ember as the flame dies out. Mercer echoes the last two words three times to end the song, echoes of his love, shadows of happier times – overtones of once warmer times. Mercer stated that the entire poem was written by God and that he just wrote it down. He was finding it difficult to write the lyrics for Henry Mancini’s music. As he leaned against a wall in his home, he told his stepdaughter Margaret Whiting that he had a vision of a door. Furia recaptures the scene quite clearly and explores the lyric’s elements very well. Certainly, the reference to Edgar Alan Poe is obvious and the mood of the lyric owes much to Poe. Mercer said the floating door of his vision was akin to walking through a Salvador Dali scenario, surreal. And the entire experience is indeed surreal, filled with meaningful images, of happy times lost, not appreciated at the time, not fully, but remembered with a painful longing. Nevermore will they be lived again. Nevermore will youth be ours to enjoy, love to be fulfilled. The roses have wilted. The wine is now vinegar and sour. "The Blues In the Night" is Mercer at his youthful best, but "Midnight Sun" and "The Days of Wine and Roses" is Mercer at his mature greatest. The basic characteristics of a jazz poet are the same as for a jazz musician; namely, their work should swing. If anyone needs a definition, I would send them to hear Louis Armstrong’s “Swing That Music,” Miles Davis’s “If I Were a Bell," Sonny Rollins’s “Freedom Suite,” and any number more by the true greats of the music. Additionally, the following characteristics of jazz apply to jazz poets as noted above: syncopation, improvisation, bent notes and modes, and distinctive voices. In the case of a lyricist, I would add that jazz musicians choose his or her songs to perform. It has for some time been a tradition in jazz to learn the words to any song which a musician performs. Lester Young counseled younger musicians to learn the lyrics to songs and often played Frank Sinatra to find out the correct words to the music as well as the correct phrasing to get across the meaning of those words. Mercer generally was able to find the exact word for the lyric. As he noted, he preferred to write lyrics for a melody that was already written. His manuscripts show many changes as he crossed out words on lyrics that were supposedly completed. The only lyrics he wrote quickly were those to “The Days of Wine and Roses." The lyrics to “The Blues in the Night” came only slowly and painfully. Mercer sought to get the rhythm right, and the rhythm he sought was that of jazz. As a successful vocalist, he knew how the words had to fit the melody and swing. Anything less was incomplete. At his peak, stars such as frank Suinatra chose to sing his lyrics as Nick Dedina notes, "Since Sinatra was justly renowned for his sensitive way with a lyric, it makes sense to compile numbers that were by written by Mercer. Sinatra loved good lyrics. Often his choice was from Mercer, his favorite lyricist. Both men excelled at throwing away jazzy, seemingly off-the-cuff lingo ("Jeepers Creepers") or at spinning sophisticated, worldly narratives "When the World Was Young." This may help explain why so many of these songs became the definitive versions. Sinatra puts the twisted sexual obsession back into the film noir theme 'Laura,' turns 'Autumn Leaves' into a wintry funeral dirge, and places so much behind-the-beat jazz phrasing into 'Too Marvelous for Words' that the number really does live up to its title." Sinatra was not the only person who chose to record Mercer’s lyrics. A short list reads like a who’s who of jazz; Louis Armstrong ("The Blues in the Night"), Billie Holiday ("I Thought about You"), Anita O’day ("Come Rain or Come Shine"), Mel Torme ("Hit the Road to Dreamland"), Ella Fitzgerald ("Skylark"), Billy Eckstein ("Laura"), Sarah Vaughan ("Day In-Day Out"), Astrud Gilberto ("Once Upon a Summertime"). and many others. Ella Fitzgerald’s “The Johnny Mercer Songbook” was the only one in her Songbook Series for Verve dedicated to a lyricist (1964). “The Blues in the Night” and “The Midnight Sun” are, perhaps, the two songs most thought of as jazz songs in Mercer’s oeuvre. The opening line of “Blues” is famous and used by people who may not have any idea who Johnny Mercer was, but know the lyric comes from a notable and popular song. Many people just say, “My Momma done tole me” to reference why they will not do something either stupid or dangerous. The song has this same earthy, colloquial feeling with a bluesy feel, although it is not, of course, a blues song at all. It has the down home feeling of low down jazz, down and dirty as jazz musicians say. Mercer was fortunate to be working with Harold Arlen on the song. Louis Armstrong catches that feel best, I think, followed by Mercer himself on a recording with Jo Stafford and the Pied Pipers. There have been many notable recordings of the song by Ella Fitzgerald, Billy Eckstein, Woody Herman, and others, including Frank Sinatra. Armstrong recorded the song a number of times, including a version with Jack Teagarden, the great trombonist, and the outstanding pianist Oscar Peterson. These great musicians bring their ability to phrase the song properly, to shade the lyrics, and rock the music with a slow steady beat. The case is similar but also different with “Midnight Sun” and its sophisticated images, something that Mercer and Sinatra shared. Indeed, anyone who spent time with jazz musicians knows that this is indeed a mark of many jazz musicians. One moment the language is professorial, the next it is down and dirty. In “Midnight Sun,” it is professorial, formally poetic. It began life as an instrumental written by Lionel Hampton and Sonny Burke in 1947. Johnny Mercer heard it on the radio in 1954. He called the station playing it and requested it be played again. He memorized the melody and put his words to it. The song has become a jazz standard. Hampton’s and Burke’s melody and chordal structure certainly helped endear it to jazz musicians. However, the words brought it to greater popular appeal. A quick glance at the number of vocalists who have recorded it not only shows the jazz nature of the song but also the high quality of singers attracted to it. A short list includes June Christy, Ella Fitzgerald, Tony Bennett, Bob Dorough, Renee Fleming, more noted for her operatic singing but who began as a jazz singer, the Four Freshmen, and Carmen McRae. The purpose of this article is to examine Johnny Mercer as a poet, an imagist poet, and as a jazz poet. He meets the criteria for all three areas. Mercer wrote lyrics for songs. Almost by definition lyrics are poetry. Granted, they may be good or bad poetry, but nevertheless they are poetry. That he was an imagist poet seems obvious after looking at the characteristics of imagist poetry and looking through his lyrics to see whether they met these criteria. His poems certainly did use common understandable language. They generally avoided clichés. There can be little arguments about the new rhythms in his poems. He wrote across a wide range of subjects. His images were indeed concrete – trains whistling down the tracks, the midnight sun, lips like a red and ruby chalice – and they tumbled out in steady streams almost overwhelming the senses with their dizzying flow. Much of this type of lyric writing is jazz-inspired. Mercer grew up in Georgia and frequented places where African-American music, spirituals, blues, jazz were readily available. He collected jazz records. His own language was jazz-tinged, and it is telling that jazz musicians loved to play his music. Learning lyrics is very important to jazz instrumentalists. Miles Davis, Lester Young, Wynton Marsalis and many others learn the lyrics to tailor their improvisations to them. Mercer’s lyrics are hip and when he wrote music to his own lyrics quite suited to jazz sensibilities. The rhythms of his lyrics are suited to jazz improvisation. They swing just as Langston Hughes’s poetry swung. Their sensibility is that of jazz. They demand music, as lyric poetry should do, even must do. As an imagist jazz poet, Mercer helps make the abstract concrete, making music, the most abstract of the arts, more accessible. Conversely, the jazz vocalist and instrumental musician can add depth, expressiveness, and interpretation to the lyrics. Mercer, as a jazz vocalist himself and a jazz fan to the nth degree, knew this fact and counted on it. He was a favorite of Ella Fitzgerald, Frank Sinatra, and Louis Armstrong, among others. In my estimation, he is among the first rank of jazz poets and his work should be taken quite seriously indeed, but with a devilish wink.